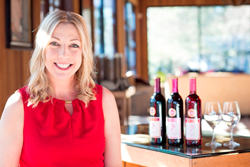 Jen Wall, winemaker for Barefoot Wine & Bubbly, America’s favorite wine brand, will be back for the New Orleans Wine & Food Experience May 26-29 for what she calls one of the best pairings anywhere of a wine brand and an event. Barefoot, maker of fun, flavorful and affordable wines and bubblies, is a sponsor of NOWFE. Wall, the winemaker since 1995, said Barefoot has been committed for more than 25 years to “Local Love” and to supporting community nonprofits and the people behind them. Wall will be available for interviews throughout the weekend and will be taking part in the Royal Street Stroll Friday evening and the Grand Tasting and Big Gateaux Saturday evening, among other events. Barefoot Wine & Bubbly, the most awarded wine brand in US competitions, can be found bearing the fun, iconic footprint label. Barefoot Wine has 17 offerings and is available for an SRP of $7 for 750-ml bottles and $12 for 1.5-liter bottles. Barefoot Bubbly (SRP $10) is available in 11 offerings and is the most awarded Sparkling Wine in US competitions. Barefoot Refresh offers five light-bodied, lively and refreshing wine-based spritzers at an SRP of $7: New Barefoot Refresh Spritzers in cans (SRP $8.99 for a four-pack or $2.49 for singles) are now available nationwide.